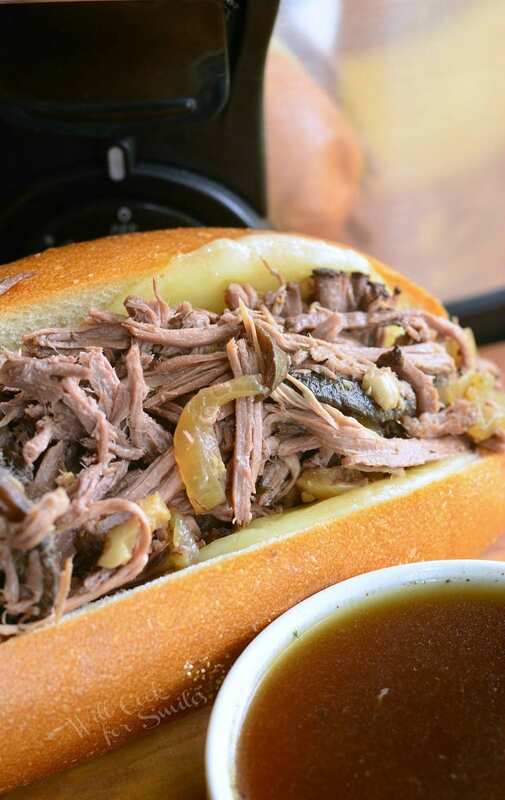 This delicious Slow Cooker Beef Sub Sandwich is made with tender, and flavorful beef made in the Crock Pot. 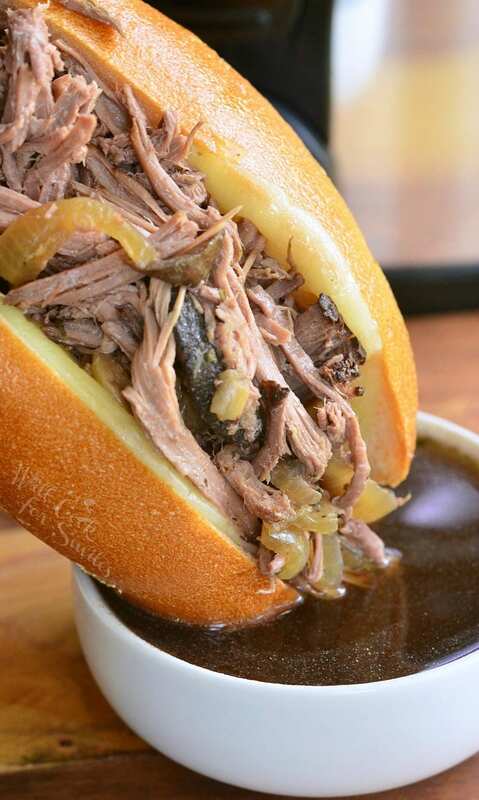 This beef is slow cooked with Italian herbs, mushrooms, and onions. 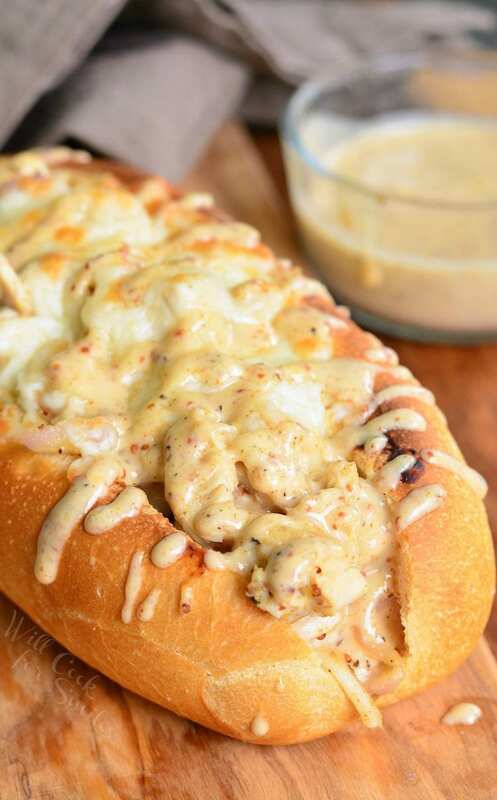 It’s perfect as a nice sub sandwich and as a main dish. 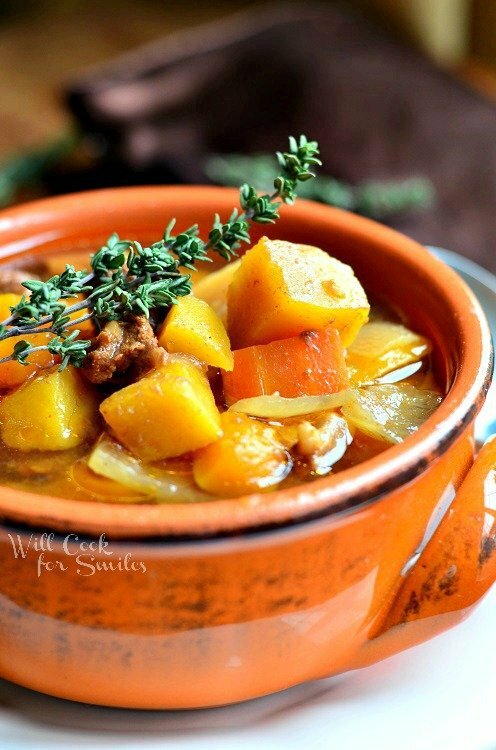 Now that the weather is getting cooler, have you been using your slow cooker more? I wish I’d be using my slow cooker a lot more than I actually am. It seems that I only pull it out when I feel like making some shredded beef or chicken recipes or if I feel like making some chili. Mmm…chili, we haven’t had any since last winter. It might be time to make some chili, the weather is feeling just right. Oh wait, I’m getting sidetracked on chili when there is a delicious shredded slow cooker beef to talk about. 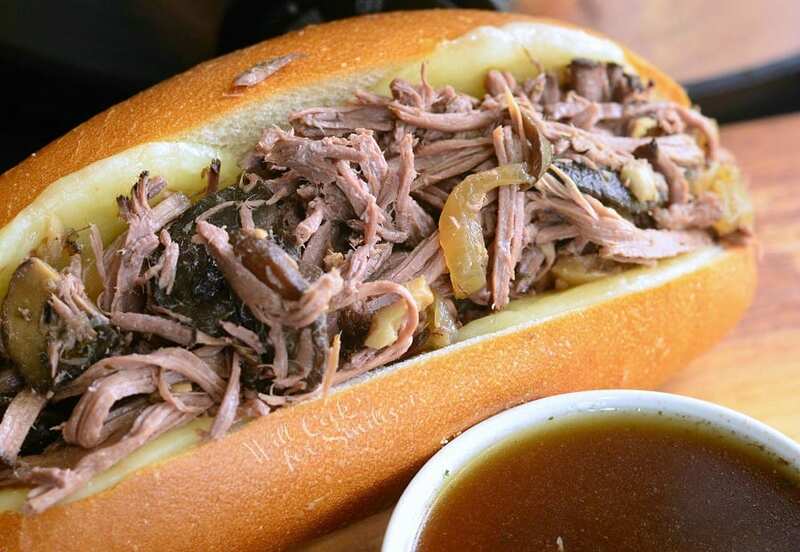 This is one tasty, tasty beef recipe and makes such a nice Italian Beef Dip sandwich. 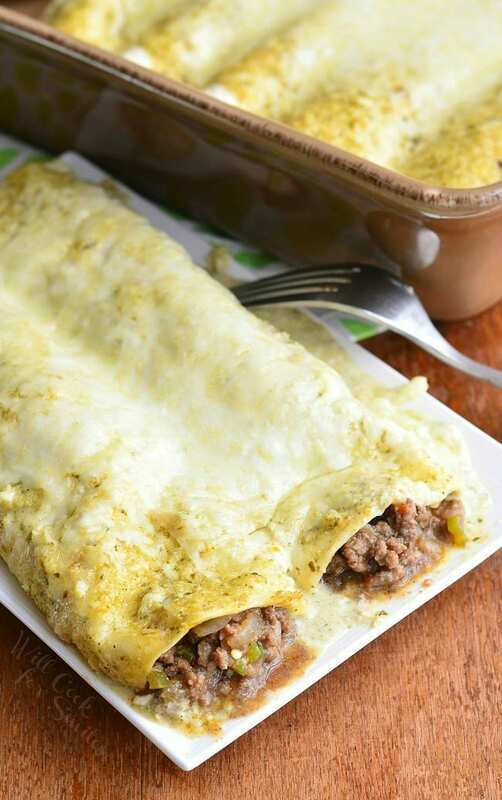 You can also use it as a main dish and serve it with some roasted potatoes and green beans. 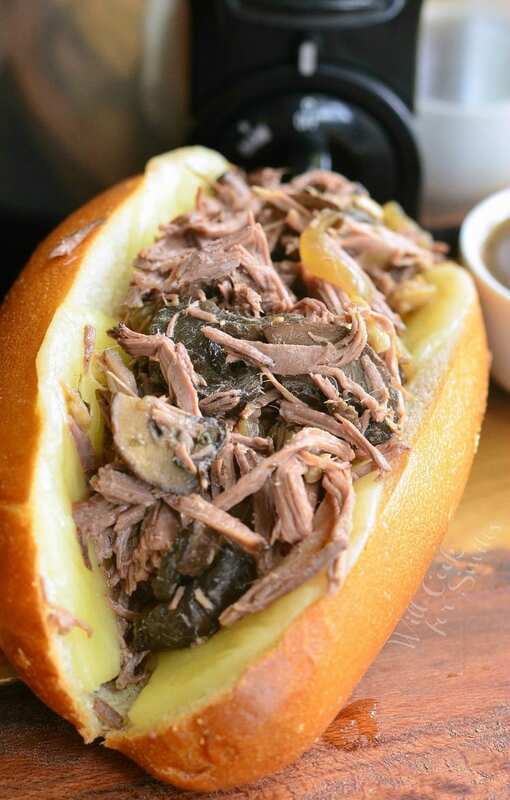 Besides these ideas, I’m sure you’ll find many ways to use this shredded Italian Beef. Here is the recipe… Let’s get cooking! Heat up stock and stir in dry herbs, salt, red pepper flakes, and sugar. Place rump roast into the slow cooker and poke some holes all over the roast using a small knife, about 1½ inches deep. Peel garlic cloves and stick individual garlic cloves into the holes. Slice onion and mushrooms, not to thin, and add them into the slow cooker. Pour prepared stock mixture all over the beef and veggies. Close the lid and cook on low for 8-10 hours. Take the beef out once it's done and shred it using two forks. Take onions and mushrooms out of the liquid using a slotted spoon and mix them in with shredded beef. Save juices from cooking beef for dipping.